Hello Everyone! 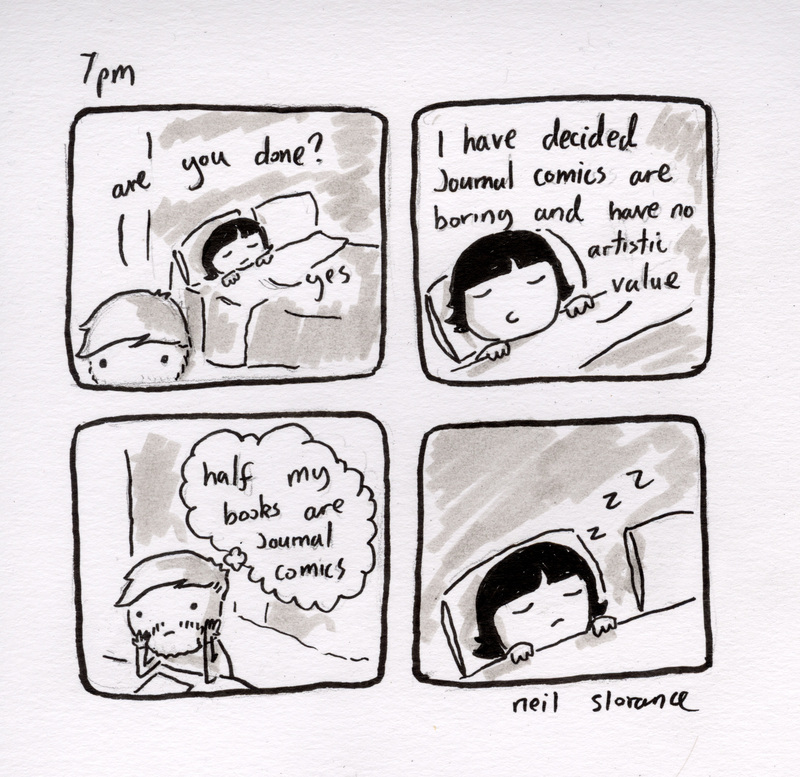 I was doing hourly comic day yesterday, which is a a day where artists try and make a comic for each hour they’re awake. 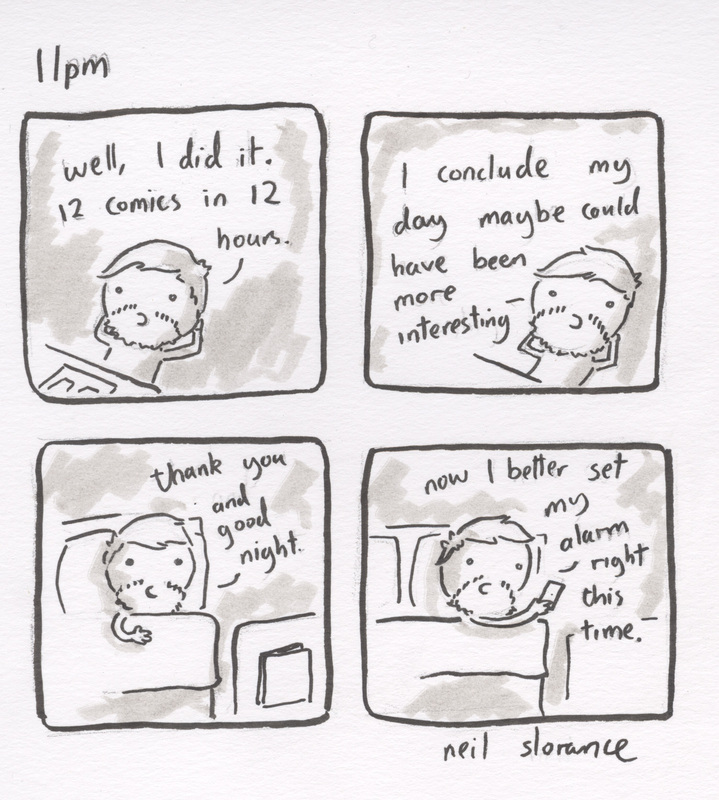 I’ve got to admit it was a bit of a struggle at parts but on the whole it was really fun and my 12 comics (yea I was only up for 12 hours) read a bit like a day-in-the-life-of. Whahey! Hope you liked them! A Year in Pictures; My 2013 Round up! Well well well didn’t that fly in? Probably because we’ll all getting older and time moves faster for old people (it’s true an old person told me). I think it’s pretty hard to not think back on the year on Hogmanay, my initial though was ‘okay, I worked pretty hard but could be better’ but the more I thought about it the more I was like ‘Yea, that was actually pretty awesome’ and one of the best yet for my art. I’m just going to do a short round up of my work throughout the year, maybe you’ve seen it all, maybe you haven’t. 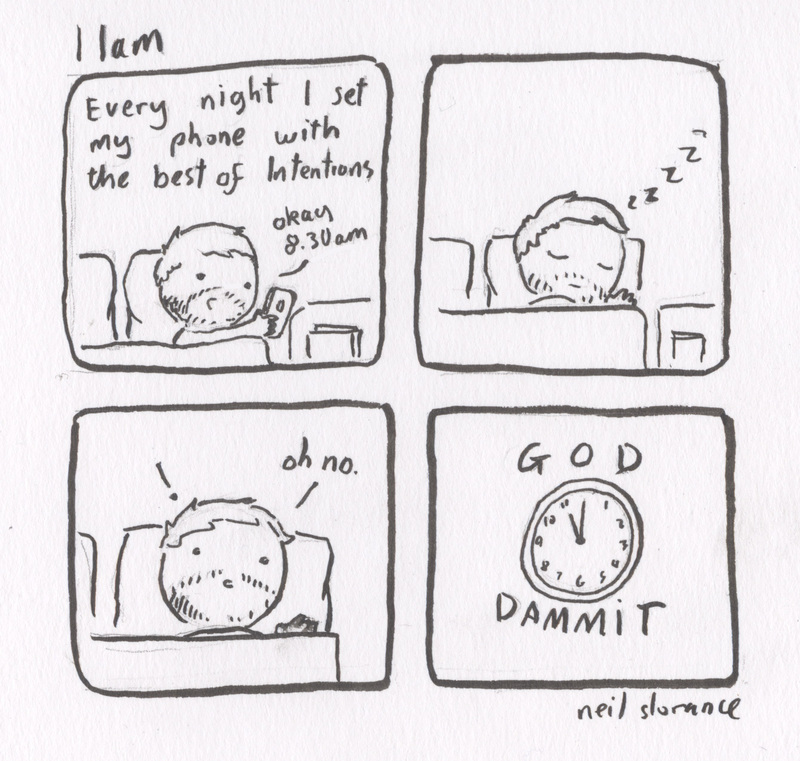 I certainly forgot about a lot of it until I had a good think about it. Okay! 2013 started out pretty quiet, Seven Days in Berlin had been out for a few months and I didn’t really know what to do next. 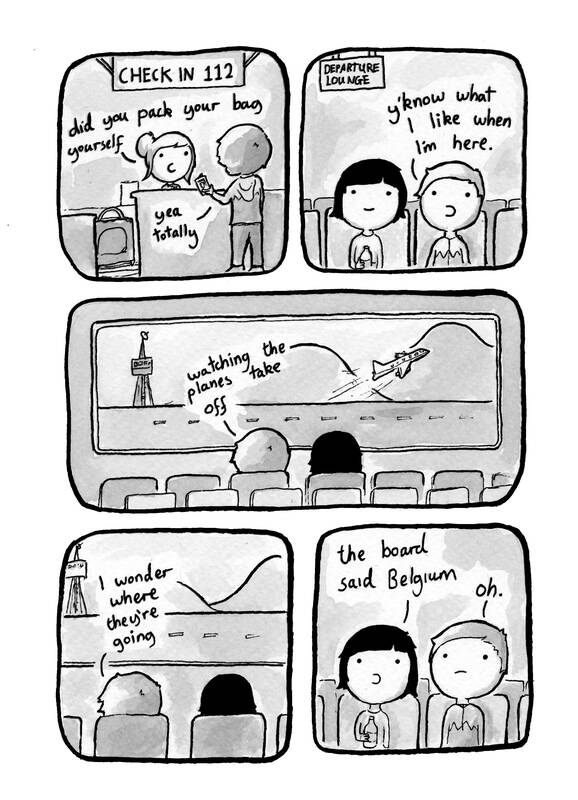 Just before Christmas I’d met my now girlfriend Coralie, which you can read all about in my soppy comics short. We’ve been dating for about a year now which is a new record for me. 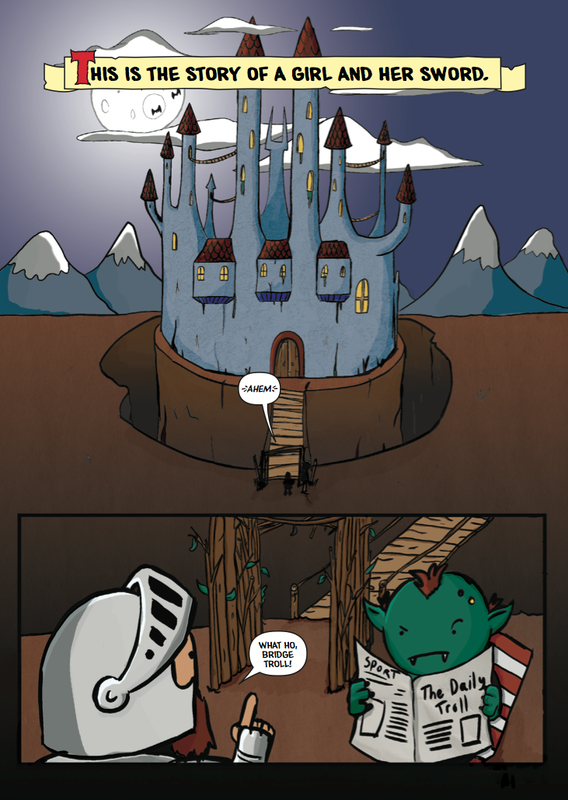 At the start of February I got a call from Kerrang magazine to do a strip for them about Oli Sykes and a dinosaur, I did my best and I reckon it turned out pretty well! From February through to May I don’t really recall much, from the looks of my Tumblr and Twitter it seems I was just farting about drawing animals and stuff. Anyways, in May me and Coralie went to Bordeaux, I did start a travelogue about this but it’s yet to be finished. Here’s a page. 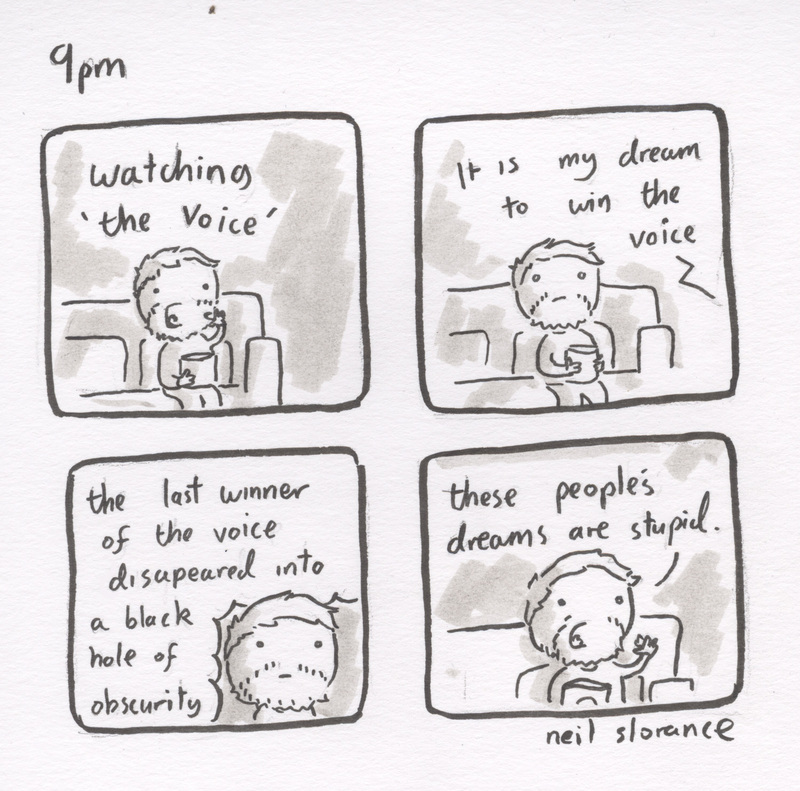 In truth, the whole time I was there I was writing out another comic in my head. One about space and Astronomy, so when I got home I locked myself up for a few weeks and produced this. 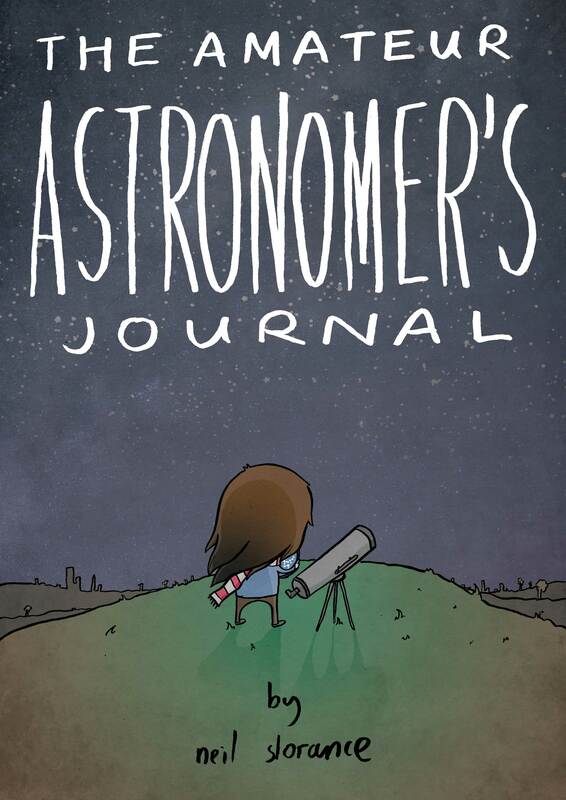 The Amateur Astronomer’s Journal. 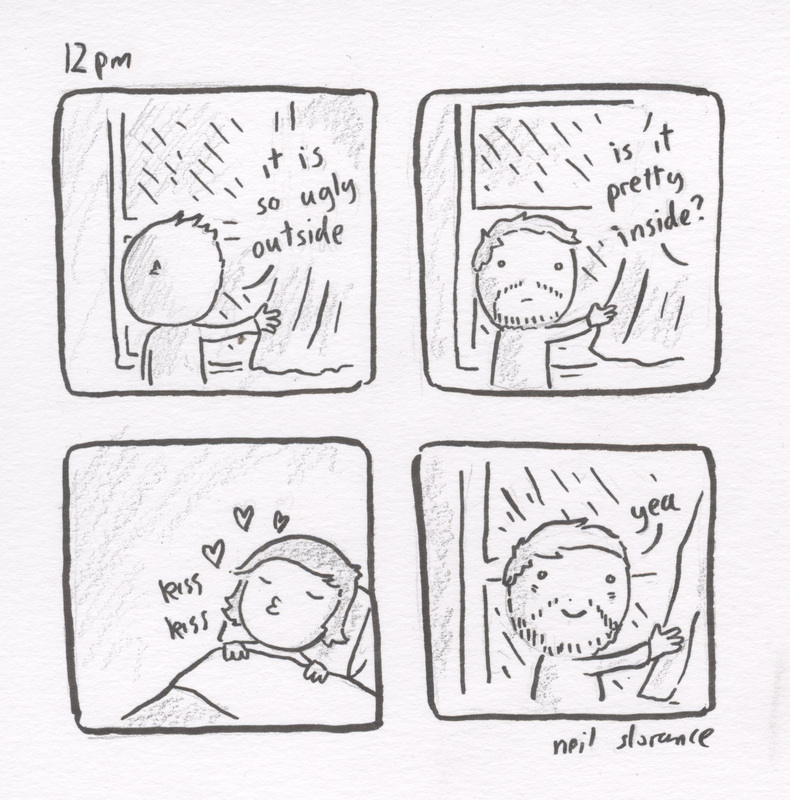 Of all the comics I’ve made myself I’d say I’m most proud of this one. I’m rarely happy with a finished piece but I feel I really hit what I was trying to get across with this. The book went out to some really great reviews and before I knew it, it was July and I was doing Glasgow Comic Con. The book got nominated for 3 of the SICBA awards and a good time was had. 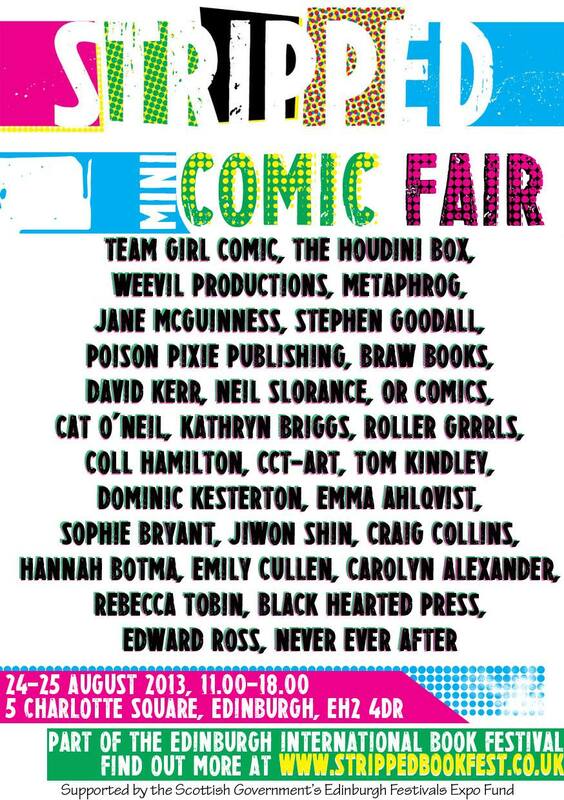 Next was the Edinburgh book festival where I met a wealth of amazing creators. 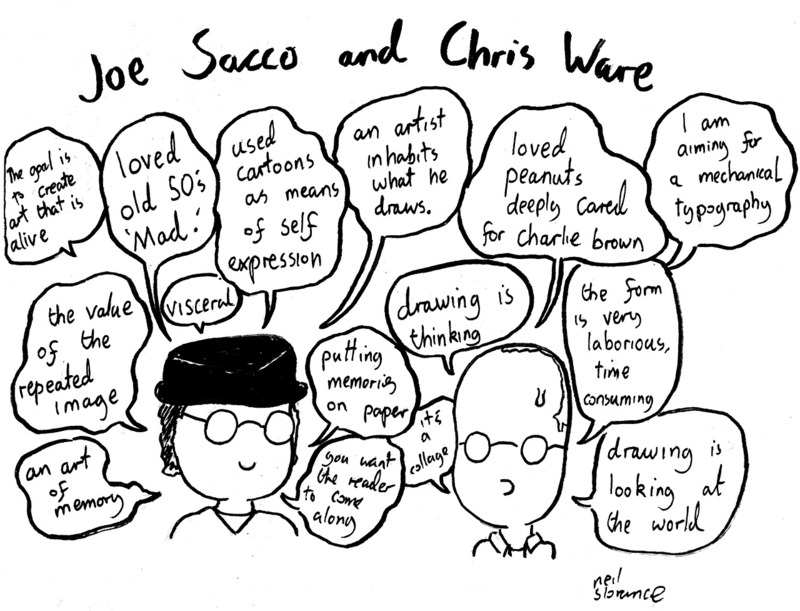 I even got to meet one of my heroes Chris Ware (sheepishly gave him a book) and took notes on his and Joe Sacco’s talk. September rolled in and me and my long time pal Alan Campbell did an exhibition called ‘A Sinking Night’ at Little Ox gallery. 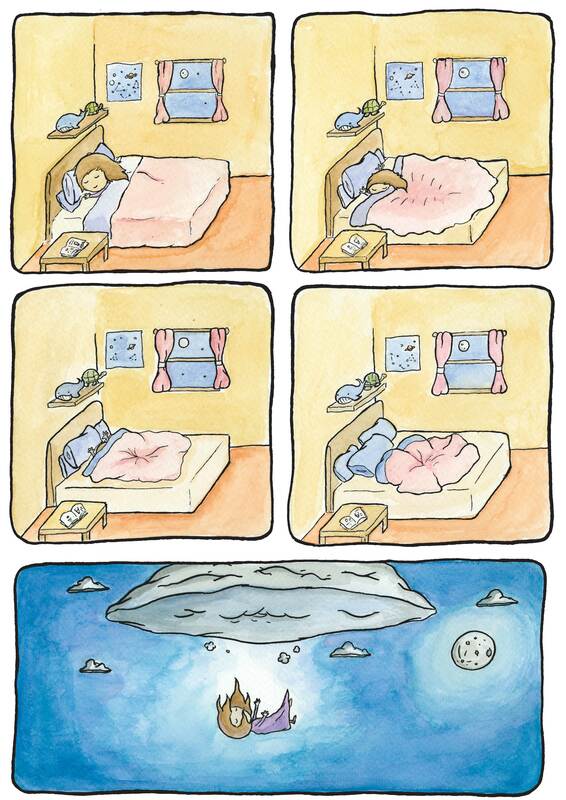 My main piece was a comic about a girl falling asleep. You can see the whole thing here. Throughout October me and Colin Bell (Jonbot vs Martha dream team) got hard at work on a new comics and in November launched this bad boy. 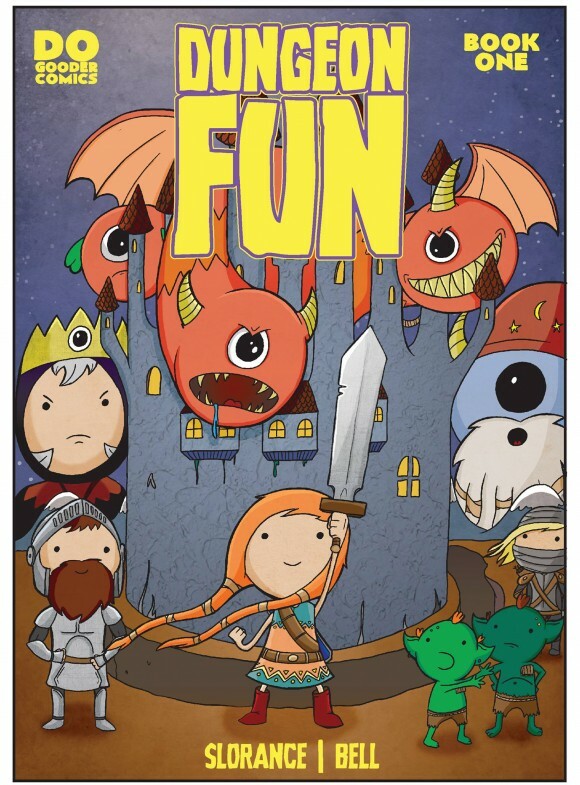 Dungeon Fun is one of the biggest things I’ve ever worked on, it’s full colour and 32 pages and took a lot of work and a few all nighters to get finished. But it was well worth it. It’s reception was fantastic, it got tons of fantastic reviews and recently got featured in Comic Book Resources top 100 comics of 2013! We took Dungeon Fun to Thought Bubble in Leeds where it did super good but I reckon my highlight of TB was meeting so many like minded creators and individuals in the comic world which although at first was a bit daunting was overall inspiring and motivating. Shortly after returning from Leeds me and Campbell Miller (How to be a Ghost dream team) Launched how to be Suave. In the same vein as ‘How to be a Ghost’ it’s short and sweet with a few chuckles and a nice overall message to boot. And that’s pretty much it! 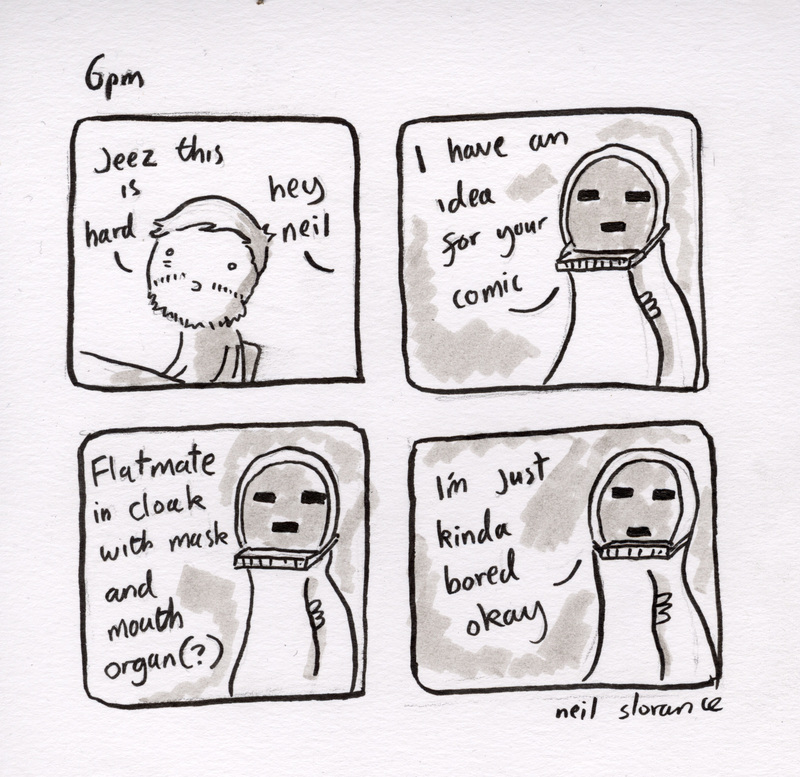 I’ve done loads of one-off pictures and mini strips which can be found on my Tumblr or Facebook but that’s all the main bodies of work covered. looking back I think I did as well as I could have, 3 books in a year ain’t bad. And although I don’t really feel comfortable talking about money, it’s worth saying for the first time in a long time I feel comfortable (of course this could all change). I can remember some grim moments a few years ago of being a regular at Govan job centre and having to borrow money from my parents to pay for bus fares etc. Well now I’m doing okay, earlier in the year I cleared off my debts and I just bought my parents a lovely weekend away, amongst other things, for their christmas. Next year I hope to make even more books although calm down a bit on the other kind of work I take in to spend more time with my friends and family and very understanding girlfriend. Thanks for reading and I hope you all have a fantastic new year! Jobs. Jobs eh? They’re funny things. I’ve found that a good number of people I know don’t like their jobs and a good number don’t have one and struggle to get one. It’s especially sad to see post-graduate students just out of university with nowhere to go. 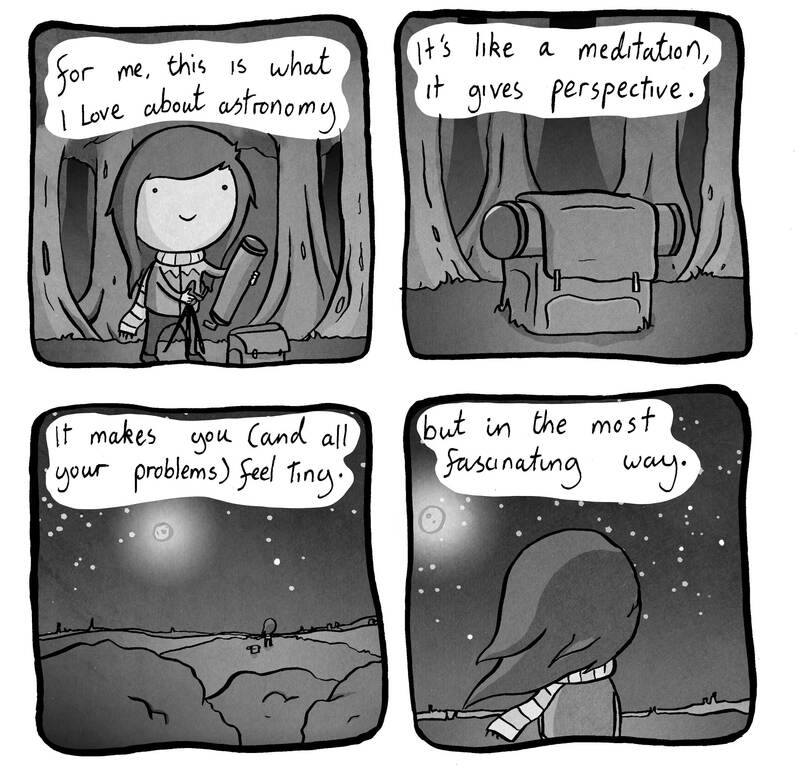 Well I don’t have any answers I’m afraid, but I can tell you my story (which may or may not help) through the medium of comics! 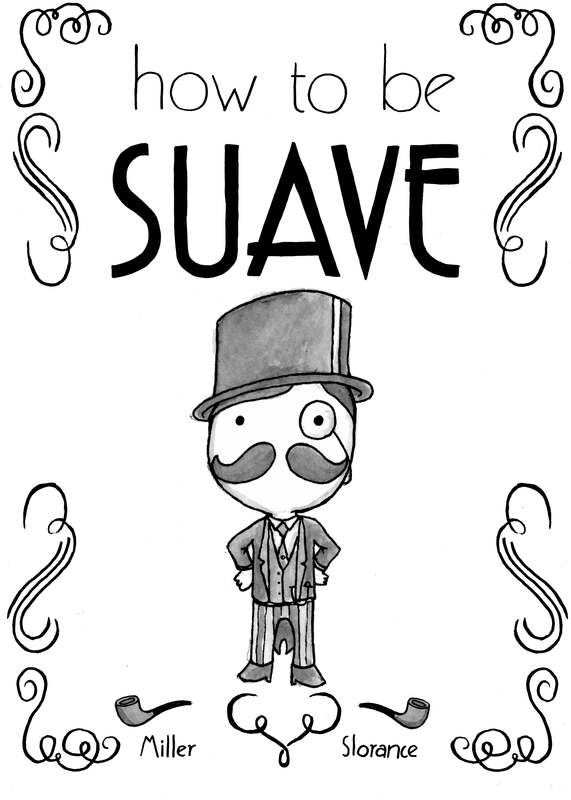 Now, let me elaborate on this a bit. Basically as you can see I was unemployed for a good while after coming out of college and generally was a bit sick of working in shops etc. I knew I wanted to do something creative, either art or music or anything in between. As people get when they’re unemployed I got a bit figity and felt like I should be doing something. On a whim I called my local community centre and asked if I could come in and help out, not long later I came in and gutted the art room and got started. After a while I got to teaching kids and old folks arts and crafts and bits and bobs and when the funding came I got some paid work from it, doing I enjoyed doing, fab! Now in the arts, funding comes and goes so after a year or so that was me back to square one, but with that experience I was now a lot better off to get a job more suited to me. For the past year or so I’ve been working for a charity, basically I work part-time (doing my own art the rest of the time) with people with dementia and alzheimer’s finding ways to communicate through arts, crafts and music. Although it has its challenges, overall it’s very rewarding and I’m super happy there. I guess my point here is that I’d never have got that job if it wasn’t for volunteering so if you’re in the position I was in 2 years ago it’s definitely worth a try even for a few hours a week. Even if you don’t feel you need the experience it does make a difference to other people’s lives which is why I still pop into my community centre to this day. 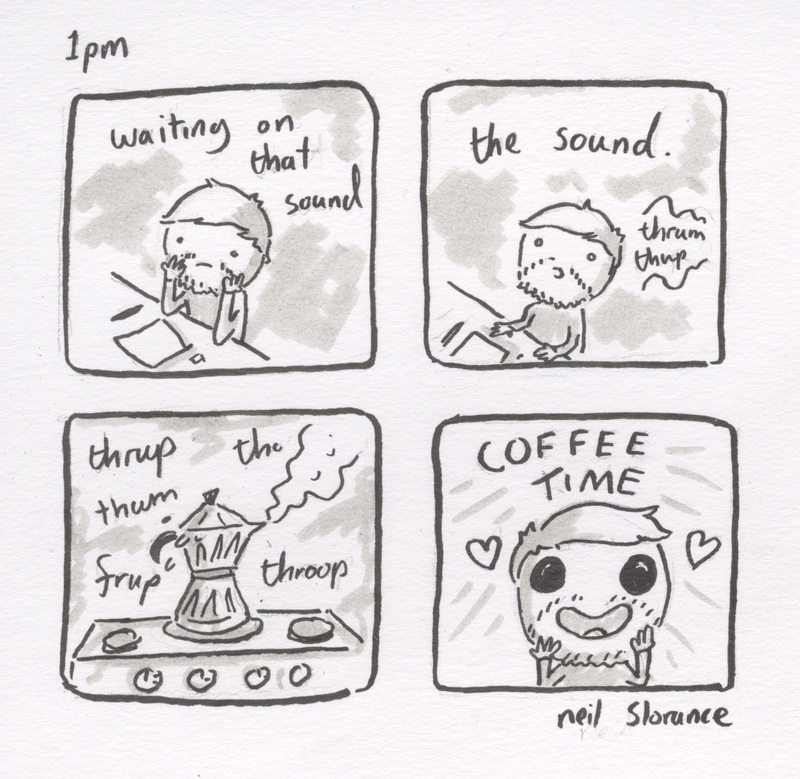 And that’s my wee story. 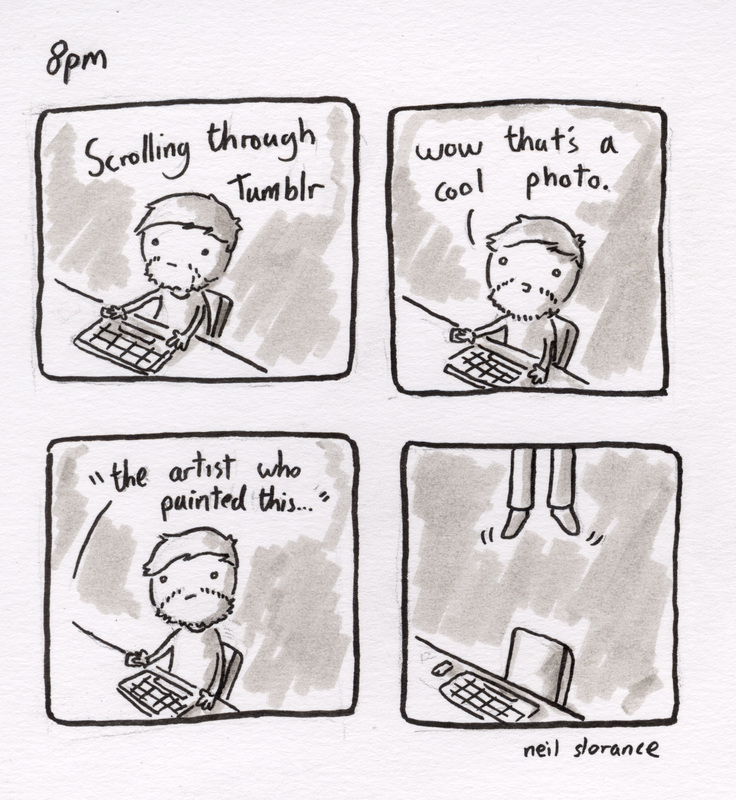 Hey everyone hope you’re all well, today I’m sharing a comic I did for my friends blog. 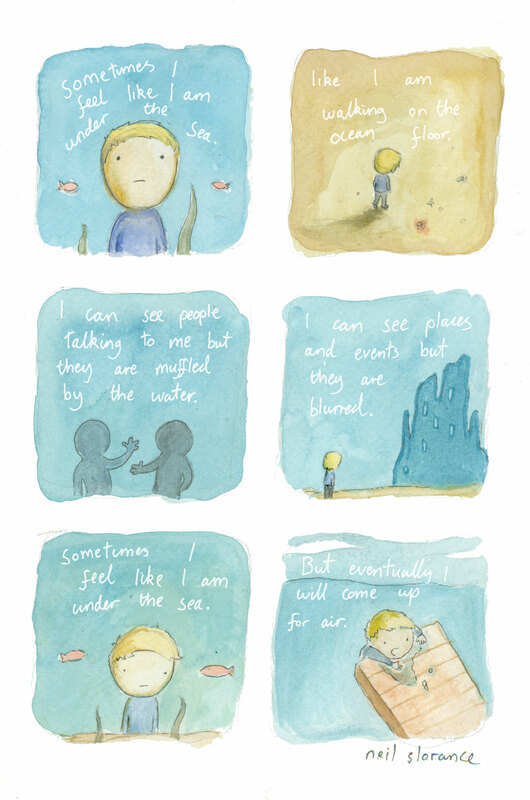 The blog is Suddenly Something Really Interesting which my good friend Garry runs as a webcomic about dealing with anxiety and other problems. 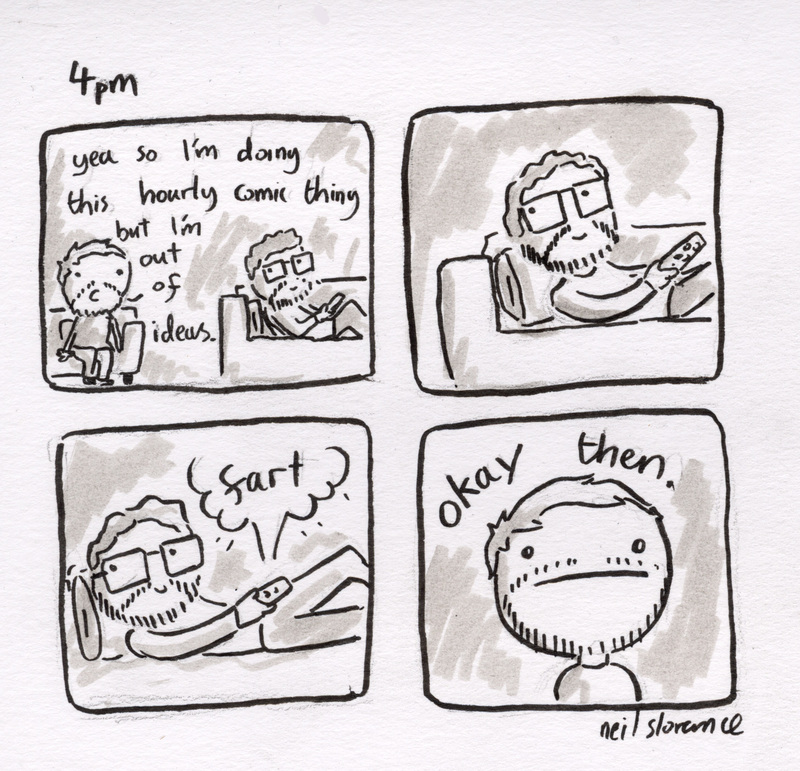 I was asked to a guest post so this is what I popped out with, an autobiographical strip about one of my ‘off’ days. Hope you like it and be sure to check out Garry’s blog! 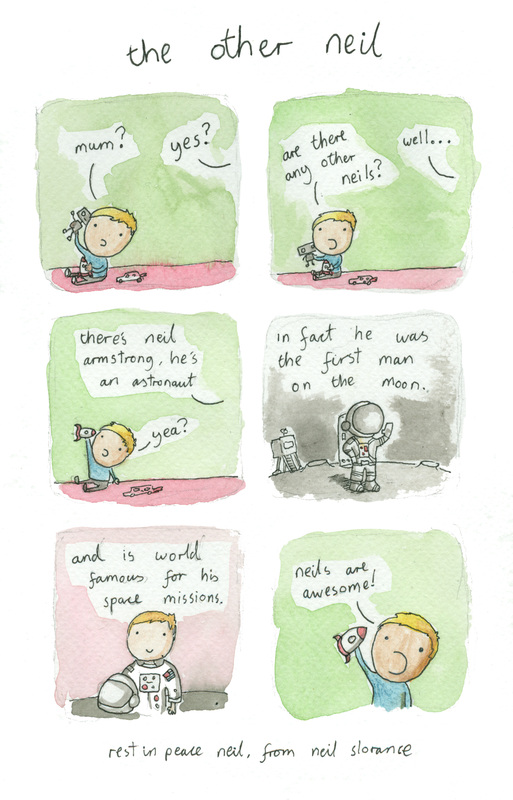 I’m sure you’ve all heard of the sad news about the passing of Neil Armstrong. 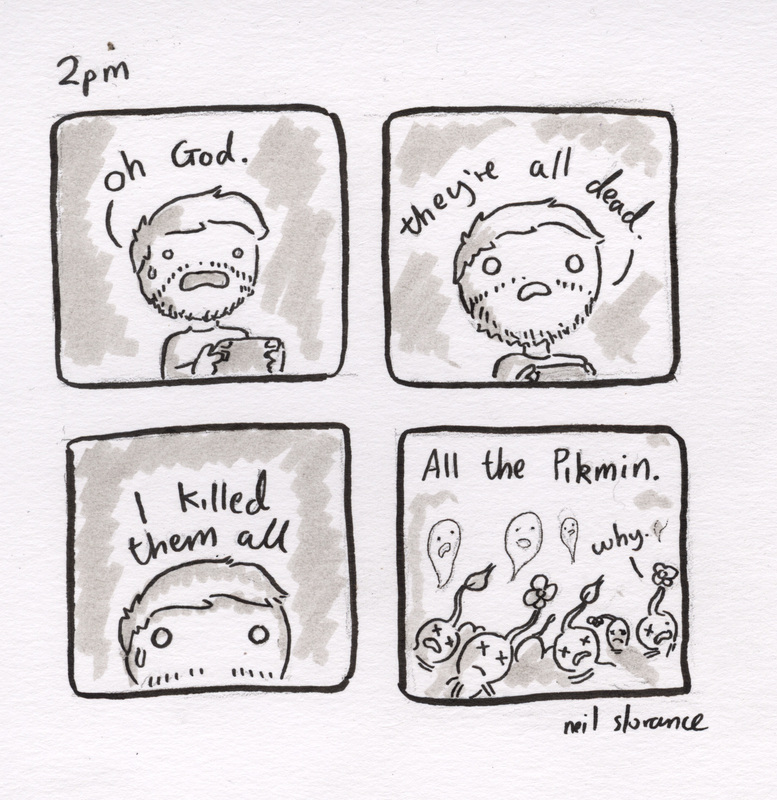 As a small tribute I’ve made a short comic. If you’ve read this blog before you’ll probably know I’m super into space and Neil helped spark that. See when I was growing I honestly didn’t know any other Neils and I grew to almost dislike my name until my mum told me about Neil Armstrong the astronaut. Then I suddenly thought Neils were awesome and learning about the other Neil sparked my interest in all things spacey which has stayed with me to this day. 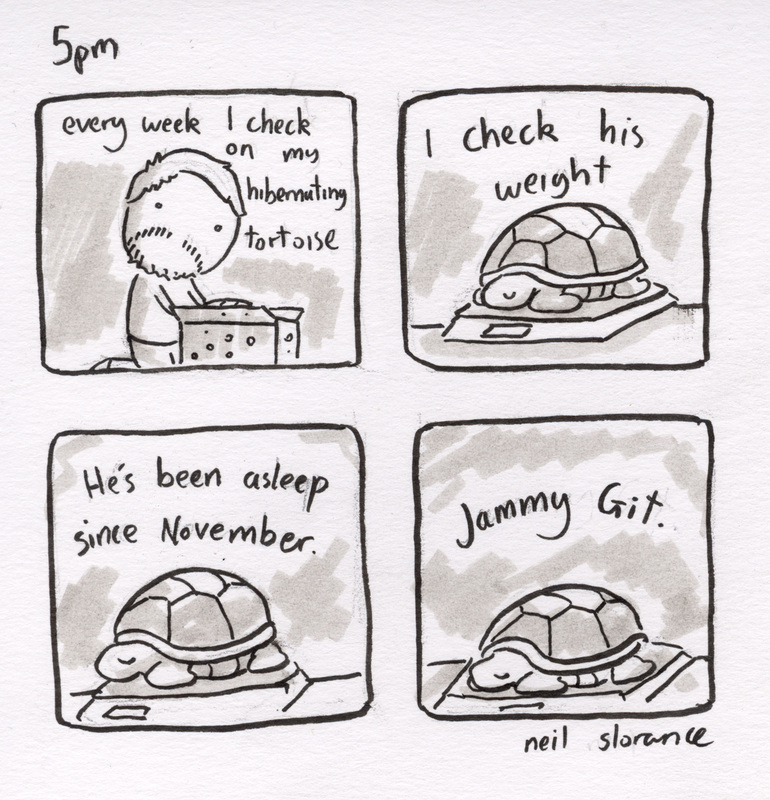 Rest in peace other Neil. 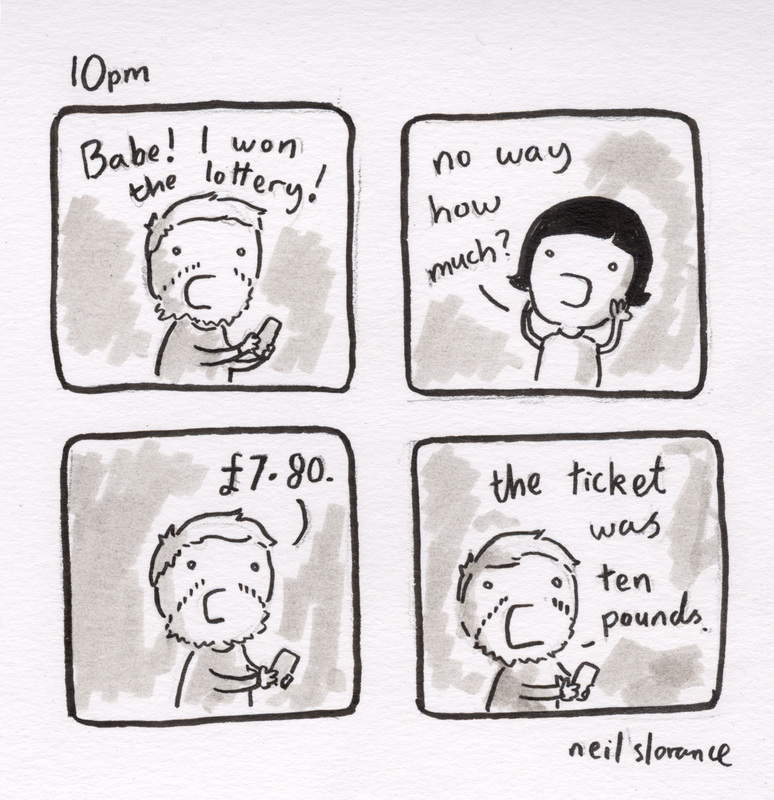 Also, there’s some new wee bits and bobs in my shop if you have a minute for a look. Hope you’re all well! 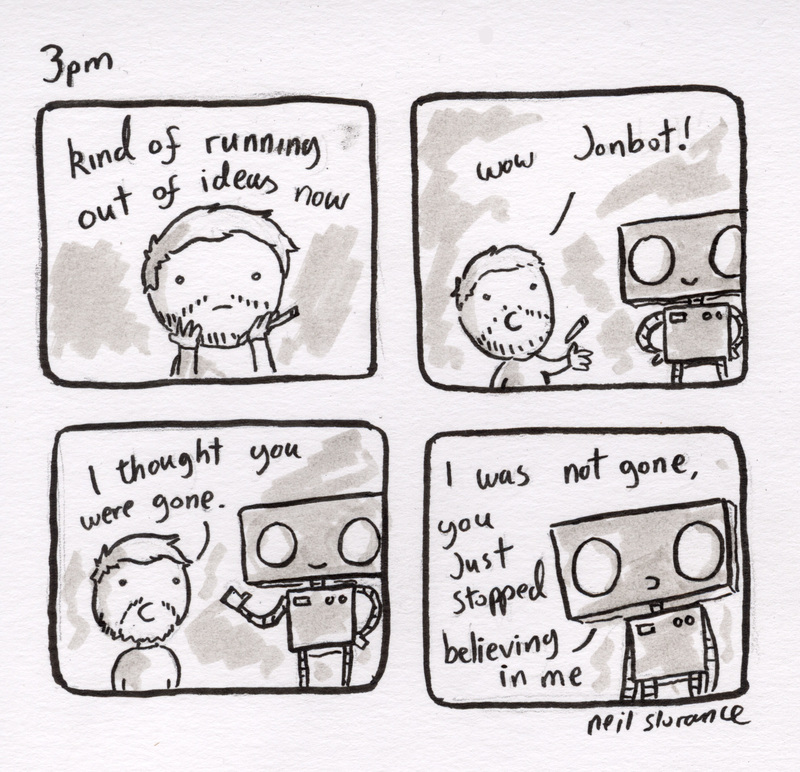 As some of you may know I draw a weekly web comic called Jonbot vs Martha, which is written by comics blogger Colin Bell. 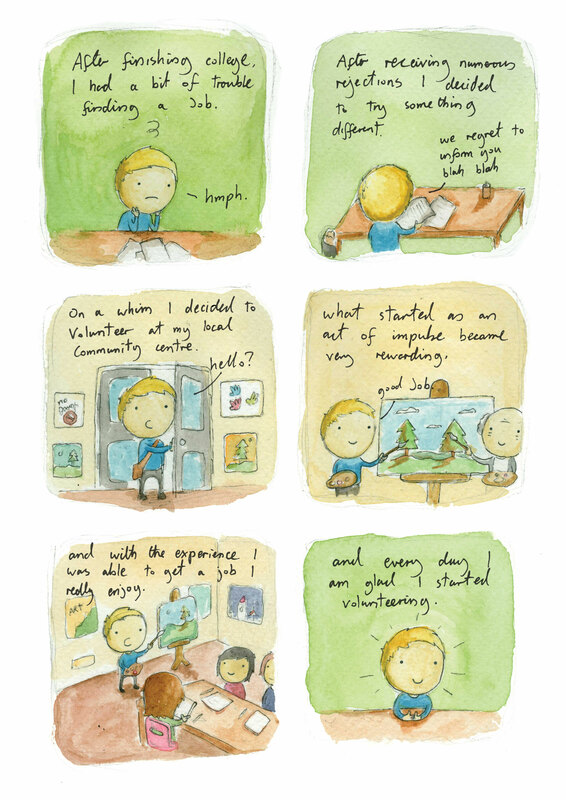 Anyhoo this week I thought ‘Hey, why don’t I try and write a strip?’ So I did and here it is! As you can tell I have quite a simple writing style. In fact my finished script was just 6 words and then 3 lines of ‘hahahahahaha’. P.S there’s only 1 first edition ghost book left :0 it’s here.